Creating and maintaining a beautiful garden is one of the most involved, yet rewarding projects you can take on in your home. The scale of the project depends entirely on the style of your home and space you’re working with but often, using a few, essential pieces in your garden is enough to make the area all that you want it to be. 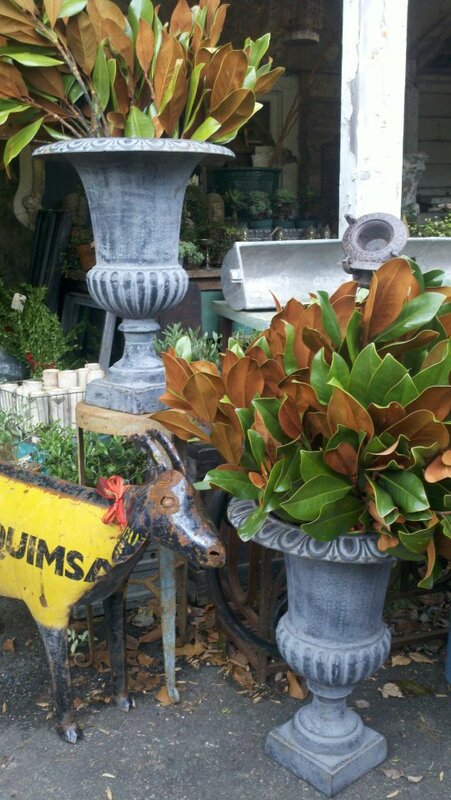 We recommend doing this by using our beautiful cast iron urns. A cast iron urn can be as simple or intricate as you want it to be and since every garden is unique, we offer a huge selection of urns for you to choose from – over 200 urns to be exact! When you visit our shop, we encourage you to bring a photo of your home along with you (smartphones are great for this) so that we can help you determine a form and size that’s most suitable for your style. Then, you can head home to re-evaluate your space. Afterward, we can help you customize the urn to your exact color preferences with a fresh coat of paint at no charge and complete the project with our delivery services. For our on-site design services, simply contact Marvin Gardens and we would happy to help! Previous Previous post: Keep Up with Marvin Gardens This May!